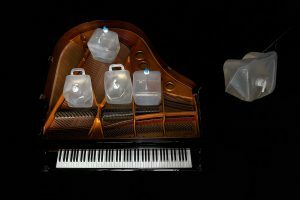 Transparent canisters filled with seawater and monocellular algae (Pyrocystis fusiformis) are placed on the strings of a grand piano. A pianist improvises on the piano in a completely dark room. 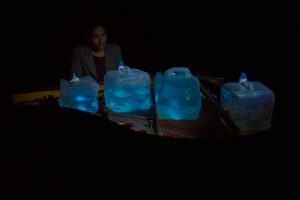 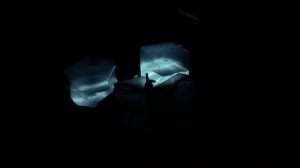 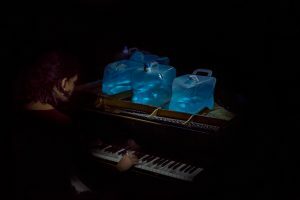 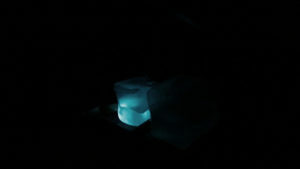 The plankton reacts to the music and the movement of the water caused by the piano’s motions, emitting natural blue light (bioluminescence).